Yikes. 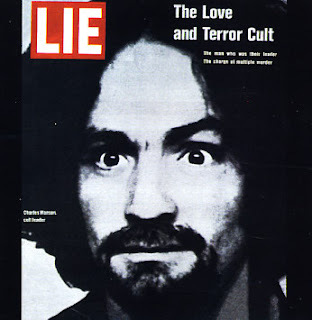 After Charles Manson gained notoriety for programming young hippies to kill (but prior to his murder conviction in the Tate-La Bianca killings), an album of his songs, Lie: The Love and Terror Cult, was released. Scariest album cover? Perhaps. (Your might recognize the infamous photograph of Manson; it appeared on a cover of Life magazine in 1969.). Two music history points: One of the songs on the album, "Cease to Exist," had previously been recorded by the Beach Boys in the late 1960s as "Never Learn Not to Love." Guns N' Roses later included a cover of "Look at Your Game, Girl" on their The Spaghetti Incident? 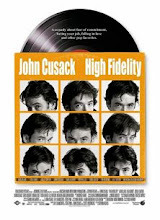 album in late 1993, which caused some level of controversy, despite the fact that it was a hidden track. I have nothing to add, other than that photo creeps me out and always has. Totally creepy. I scared the bejeezus out of myself a couple years on Halloween when they had a special on him on some cable station. I had always known the name but never the whole story. Wow.